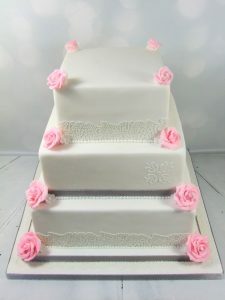 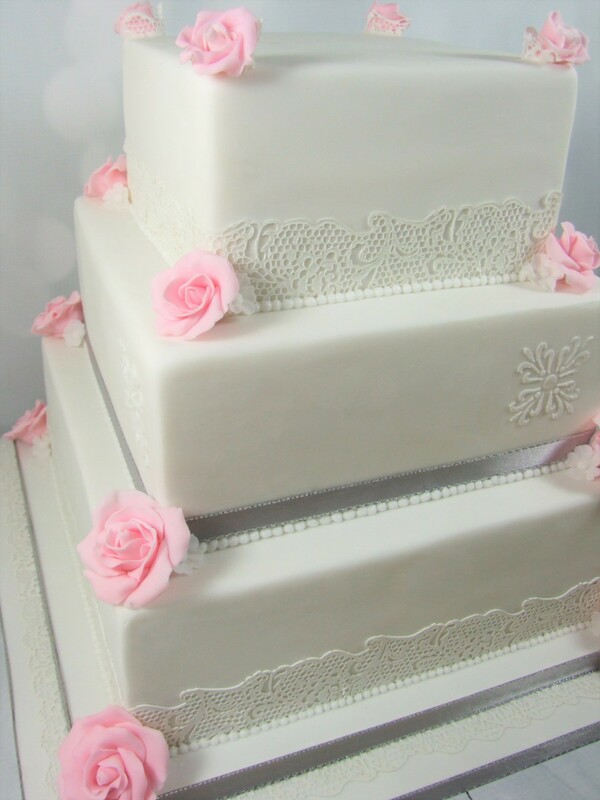 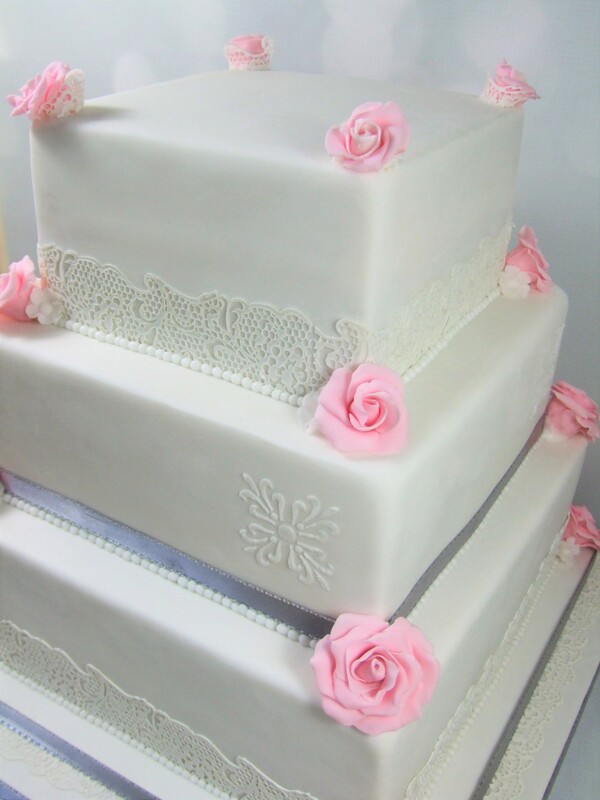 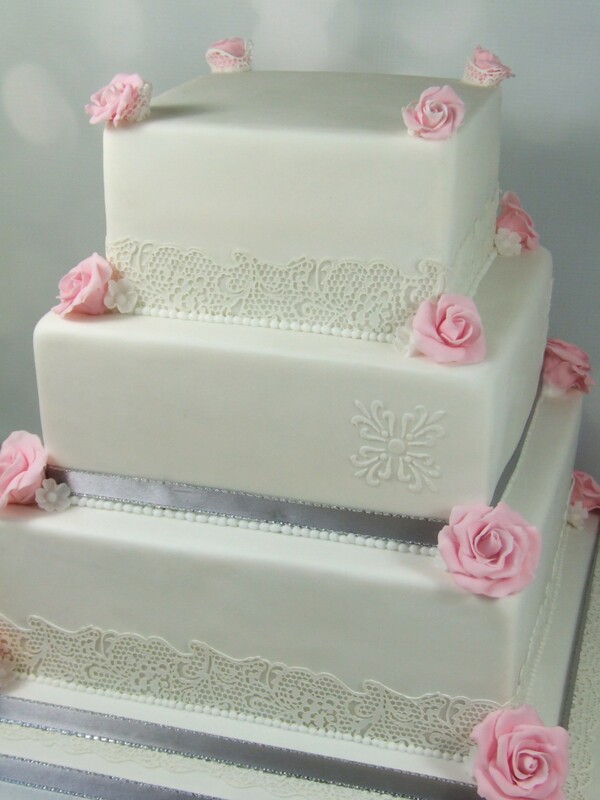 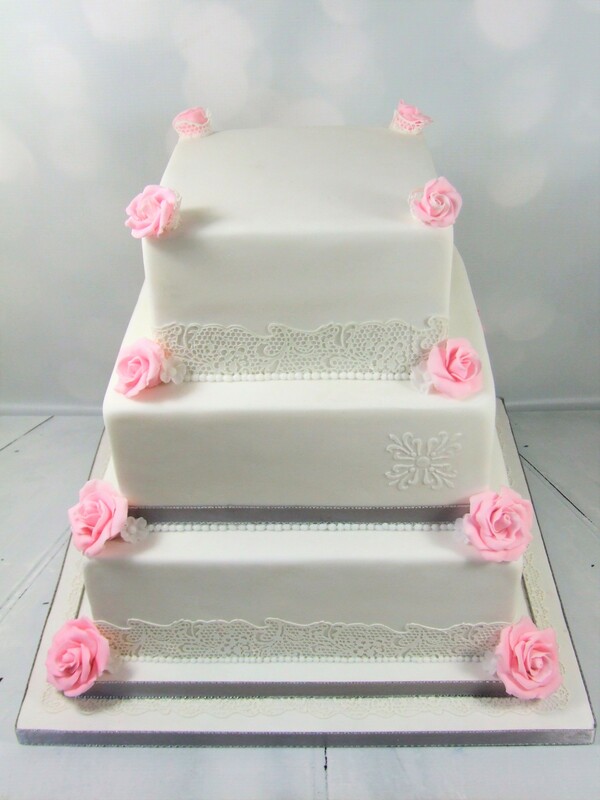 A more traditional look to this wedding cake, but with detail around the base of the tiers using an edible lace product. To add a little extra detail on the sides of the cake I used a template with royal icing. 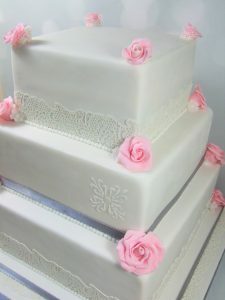 There were roses on each corner and a sparkly silver ribbon finished off the design.